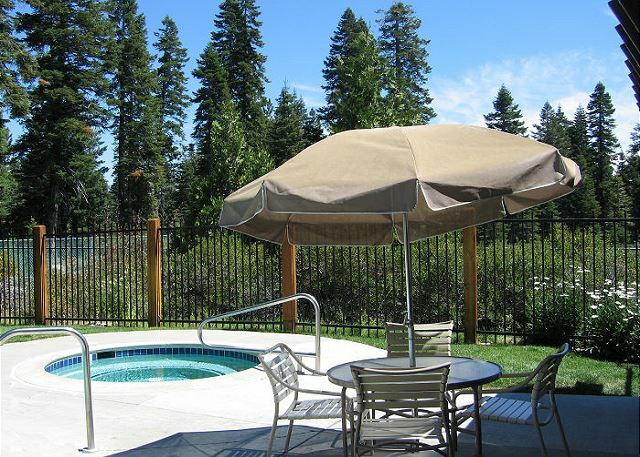 Enjoy 2150 square feet of living space in this Rocky Ridge vacation rental condo decorated in a mountain style, with newly remodeled kitchen and bath rooms. When you walk in the door there is a nice split level entry with a hall closet to store you’re outdoor gear. Follow the steps up to the living area that is bright and open with high vaulted ceilings, a large wood burning fireplace with rock surround a window seat to relax on and a wet bar for entertaining. The dining room is open to the living area with a large table. Enjoy BBQing on the peaceful back deck or lounging in the sun. The upgraded kitchen has everything you may need to make a meal. There is a breakfast nook off of the kitchen as well as another living space or den or extra sleeping area as the sofa makes into a bed. There is a half bath on this level as well. Downstairs in the two guest rooms there are conversion beds that can be made up into two Kings or four Twins depending on your need (pictures show beds as Kings). These bedrooms share a large full bathroom at the end of the hallway. The master bedroom has a King size bed, sitting area, small outside deck and a full bath. Unit has Wifi access and cable. 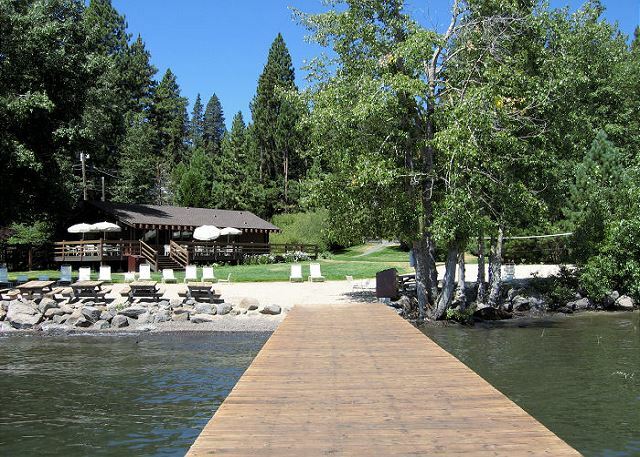 The development is close to all that Tahoe City has to offer. 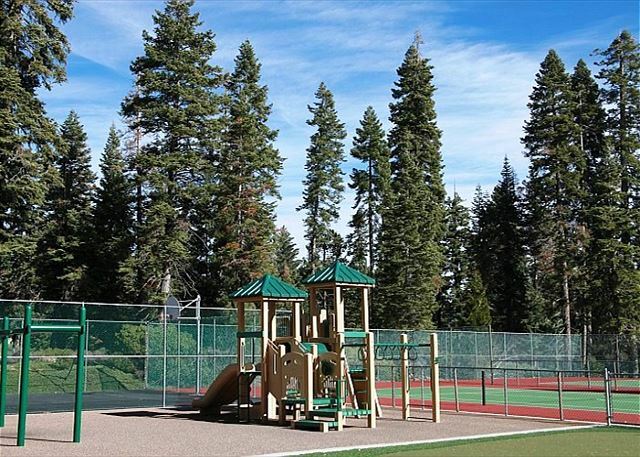 Rocky Ridge is a gated community of 60 acres surrounded by State Forest Land, where you can enjoy nature on one of the many hiking or mountain biking trails just steps away. 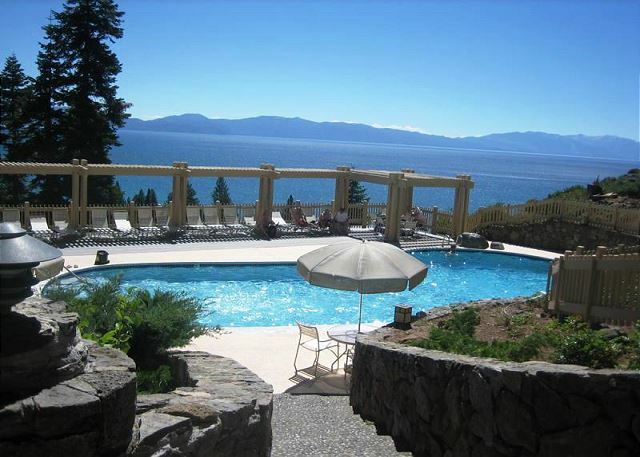 Amenities include 2 swimming pools, 2 spas ( one of which is open all winter long), tennis, basketball, playground, Bocce Ball court and a private beach with pier, buoys, BBQ facilities, clubhouse and volleyball court. 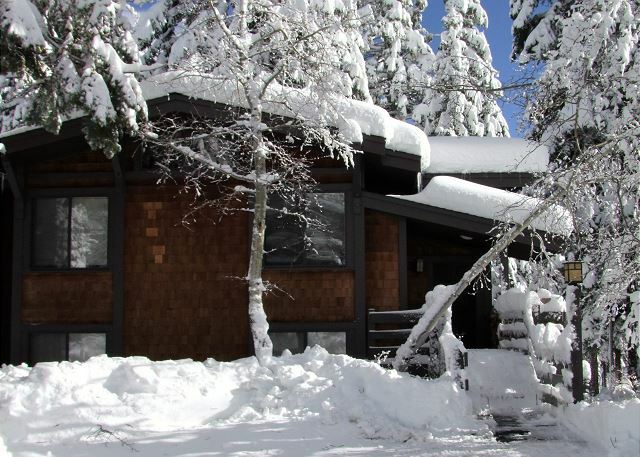 Every vacation condo rental offers vaulted mountain-style ceilings, beautiful rock fireplaces, fully equipped kitchens, all set in an open two-story floor plan. Fantastic ! Everything was great. The property is fantastic. Thank you. 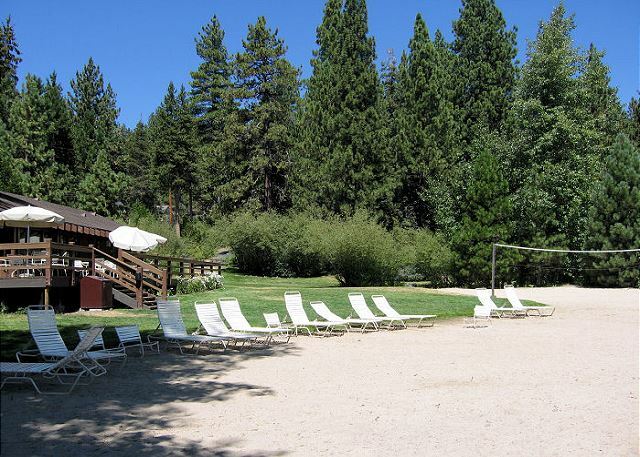 We rented two properties and the layout for us was perfect for our family reunion. BBQ's, shared dinners and games together. Enjoyed both pools, tennis and walks. Jet skiing, private beach was great, biking to Sunnyside, hikes. Glad to read that this unit was bought recently and will be upgraded. The kitchen especially needs upgrading and lacked proper pots/pans, a can opener that works, etc. Rocky Ridge was a great location for our family reunion. 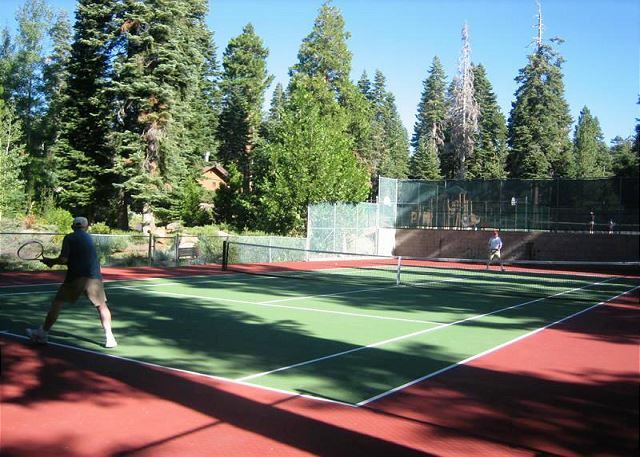 Swimming, bocci ball, playground for the kids, tennis. #113 was beautifully decorated, plenty of towels, even beach towels. Great gas BBQ for dinners on the deck. Jakes on the Lake was perfect for our last dinner together. Hike up to Eagle Lake was enjoyed by the hikers in our family as well as many activities on the lake. Great memories. We'll be back. Wonderful!! We loved our condo …so beautiful! a guest from Los Altos, CA does not recommend this vacation rental. 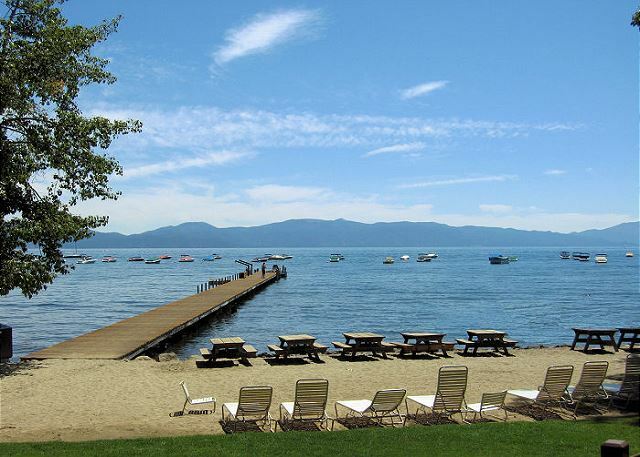 No surprises on general location and condition, which were convenient to lake, Tahoe City, and Burton Creek state park. Surprise was that unit hadn't been occupied since August, and probably hadn't been meaningfully cleaned since then -- several toilets were disgusting (water crud?) and refrigerator contained milk and yogurt with expiration dates from August. Yuck. Agent who took reservation didn't give accurate directions to unit -- we had to walk around in the dark on our arrival to figure out which unit was ours. Unit wasn't on the street/turn given by the reservation agent.